I'm absolutely head over heels IN LOVE with this rug but it's sold out in every size except the 2' x 9' runner and I have no idea if it'll be restocked anytime soon :( I'm really trying to get away from the black, red and white color scheme I've got going on right now and I think the gold/bronze tones in the rug would look great with my light gray sofa but I can't find the rug anywhere other than HSN. 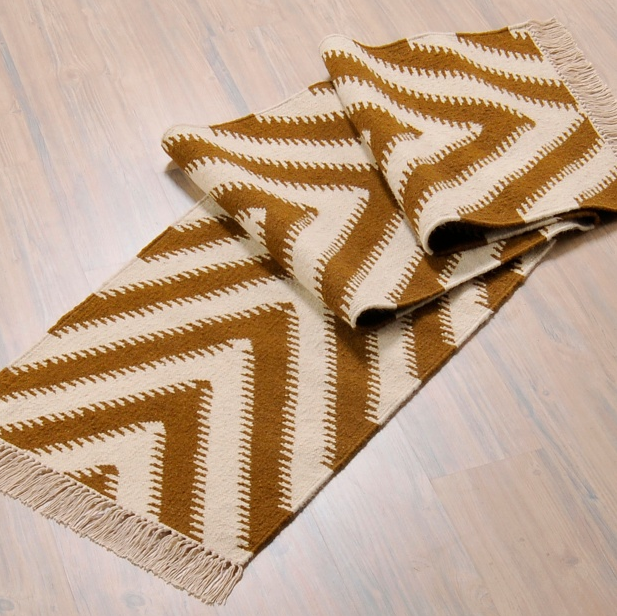 For all of my Nate fans out there, do you know if you can buy his rugs (particularly this one) anywhere else other than HSN? Now that is a gorgeous rug! Honestly, there isn't much of Nate's that I don't like. Isn't it great?! I can't find it anywhere but I emailed HSN to see if they're going to restock the larger sizes. Fingers crossed they do!! !